Robert McCall is a former agent with the Company. The exact identity of this intelligence bureau, also referred to as the Agency, is never specified but there is sufficient evidence pointing towards the CIA, if unspoken. McCall was an agent for many, many years and based on the contacts he has, he has made a big name for himself. Those he made his home in New York City, having a very nice apartment there as well as an ex-wife and a grown musician son, he was a man of the world and saw action in every part of the planet. His knowledge of languages and traditions is impressive. At the time of the first recorded adventure, McCall is in his late 50's or very early 60's. He is growing extremely tired of the duplicity and the underhanded ways the cloak and dagger game is played and would very much like out. A particularly brutal event in a NY subway in which he promises a desparate man holding a hostage that if the man let the hostage go, all would be fine. The hostage is released and another agent shoots and wounds the man. To keep the wounded and still dangerous man from harming anyone, McCall must kill him. That is the final straw. McCall turns in his papers and retires. Unfortunately, no one retires from this Agency and his New York boss, known only as Control, lets him know how scared his bosses are. Too much information is in his head, Control warns, to be let free. It was almost certain a hit squad would be dispatched to take him out. "Let them come" was McCall's response. Before too much time has passed, Control lets McCall know he worked out a deal with the upper echelon - let McCall live and maybe he would be there for a favor now and then. It was not just to get out that McCall retired, though. Not hurting for money, and feeling a need for penance, he began a small one-man crusade to help the underdog get out from under. His reasoning is quite clear to himself - he has done enough bad things on behalf of his "employers" to last several lifetimes and he wants to even things out a bit. This reasoning is not so understandable to some who knew him in the old days. Control, for all his protests against his friend's actions, is one of the few who does comprehend. "Got a problem? Odds against you? 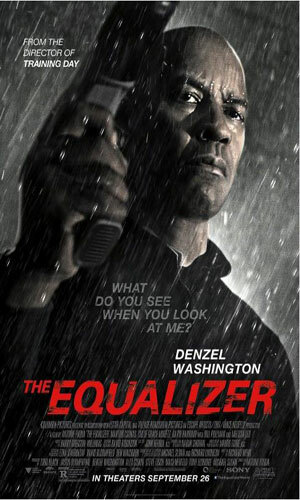 Call the Equalizer" is the advertisement in the newspaper. It gives a phone number in Manhattan where help can be reached, although McCall has obviously learned to never answer the phone directly but let the machine get it and play back messages later. If McCall decides that the caller is legitimate and not, as often is the case, someone looking for a hand out or an acquaintance rubbed out, he will contact the person and schedule a meet in a safe location. Once he takes the case, though, regrets are in store for those he rules deserving of it. Since McCall is no stranger to the City and many of his former associates, and not a few opponents, live there, he thinks nothing of routinely calling upon them for assistance. Many are less than happy about the calling but some, like his protege and young friend, Mickey Kostmayer, delights in working again with his old mentor and gladly drops whatever he is doing when summoned. Since that is sometimes something Control had him doing, friction can be high between McCall and Control. Nevertheless, the old friendship between McCall and Control goes back a long way and despite his irritations, Control has come to McCall's help himself more than once. The three books in the series that were published were novelizations of several of the episodes. They were published in Britain first. It is unknown if they were ever released in the States. In 2014, the series got a reboot with a movie release and a book by Michael Sloan, one of the creators of the original series. 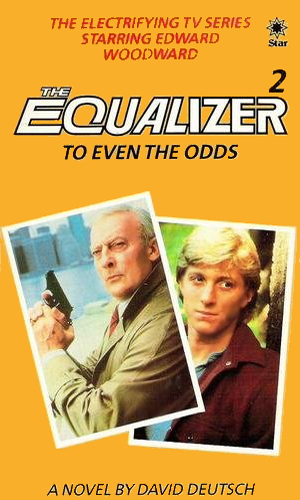 Novelizations of two episodes from Season 1: Pilot: The Equalizer by co-creator, Michael Sloan, in which a woman is being stalked and a security expert is endangered by his own bosses, and The Children's Song by Howard Chesley, Joel Surnow, and Maurice Hurley which has McCall trying to protect the only witness for a murder by a group of rapists. Novelizations of two episodes from Season 1: The Defector by Heywood Gould in which McCall helps a double agent defect as he also teaches a young boy to stand up to bullies, and Back Home by Neil Cohen, Joel Surnow, and Maurice Hurley which has a banker who is simultaneously trying to force tenants out of a building even as he is planning the murder of his wife. 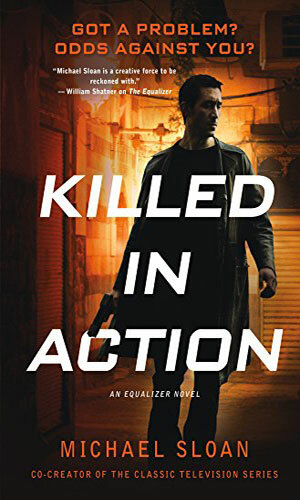 Novelization of one episode from Season 3: Blood and Wine by Coleman Luck which has McCall joining with a monk, a man who once was a terrorist, as they look for the man's former partner who is planning on a major event. Wanting quiet and solitude after his years of doing things for his country he wants to forget, Robert McCall works in a warehouse store and minds his own business. But then seeing bad people hurt good people is something he cannot ignore. 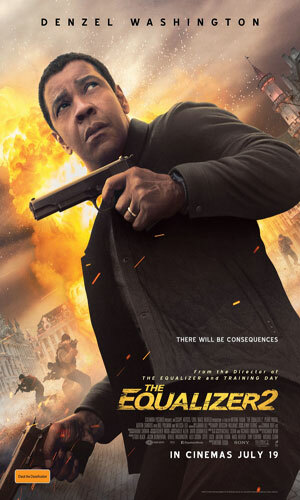 A re-imagining of The Equalizer by the man who created the character in the first place. McCall is "a former intelligence officer who helps desperate people in need of his unique skill set". This book tells of his first cases; a woman trying to free her daughter from white slavers and another mother who wants to find out if her son, fighting in Syria, is alive or dead. A reboot of the terrific television series came about in 2014 when the fantastic Denzel Washington brought back the character with a style uniquely his own but still containing the same essence of justice that Edward Woodward gave so well three decades before. Robert McCall works in a warehouse store and tries to forget the life he once lived as an agent. Sleep does not come easy. Neither does rest when, try as he might to live a peaceful life, he finds he cannot watch bad people hurt good people. Robert McCall after the rogue agents that have gotten his friend and former colleague murdered. 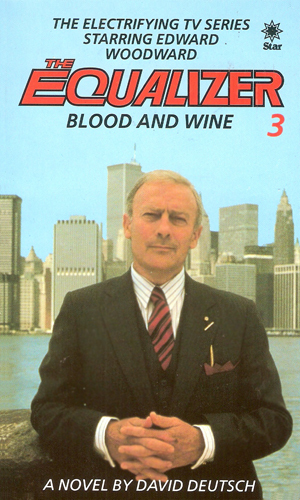 In September 1985, CBS aired the first episode in a new action series starring veteran British actor Edward Woodward. According to one of the creators of the show, the original thought had been to have someone like James Coburn play the character but it was decided that Mr. Woodward would play him. For his part, Mr. Woodward definitely had the credentials especially after having already played the spy Callan on British television from 1967-1972. The shows would traditionally start with a scene in McCall's Manhattan apartment showing the answering machine recording a new call for help, setting the scene for that night's main adventure. The dialogue was routinely brisk and pithy with lots of jabs at McCall from his old friends and warnings to mind his own business from bad guys and even better retorts from McCall. These rejoinders were often followed up with enough physical action to show how much they were meant. Playing Control, McCall's former boss and current friend was another veteran actor, Robert Lansing, and his ability to appear mysterious and menacing was as superb as Mr. Woodward's. Throwing in the young but by no means novice agent, Mickey, played with great skill by Keith Szarabajka, and the show was a hit. There was enough action to satisfy most couch potatoes and enough violence to give pacifists strokes on a weekly basis. The show lasted four years and might have gone on longer had not Mr. Woodward suffered from a heart attack and frail health afterwards. Even bringing in the great Robert Mitchum for a couple of episodes and having Richard Jordan take over for a few more did not save the series. Mr. Woodward did return to the show but only for another season. I was so much a fan of the series, I never missed an episode. If I was not in front of the television when the latest episode was aired, I was there later when my VCR replayed it. 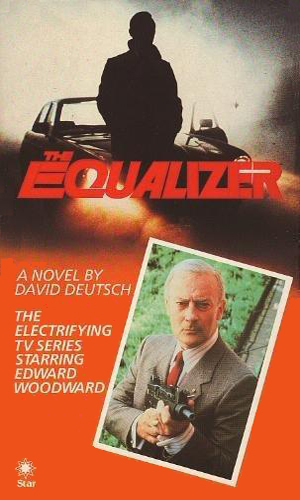 I had already loved Edward Woodward as Callan from when I saw him while stationed overseas so the idea of seeing an older but more deadly version taken on corrupt politicians, gangsters, nasty boyfriends, and the like was too much fun to not watch. 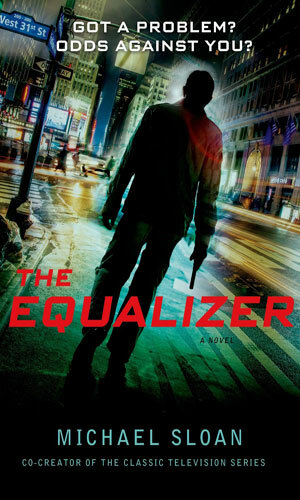 Technically, Robert McCall, the Equalizer, is no longer a spy and most of what he does is no longer spy related but considering the fact that sometimes they are and the fact that he uses the resources, willingly or not, of the Company means this series definitely belongs in this compendium. Add to that the fact that this answers the question of what happens to civilians when they up against professionals. The writing of the novelizations is very well done and are worth reading, if only to recapture the fun that was the Equalizer.